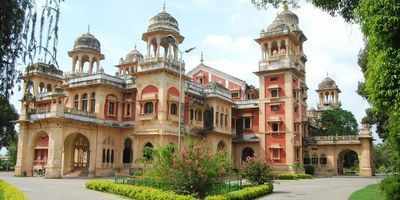 In an unprecedented move, authorities of Allahabad University has terminated the services of regularly appointed registrar Col Hitesh Lav. His termination follows decision of the Executive Council of AU, which met on the campus on Sunday and passed the resolution of ending his services. Earlier, on June 4, the vice-chancellor, Prof R L Hangloo has withdrawn all the powers of the varsity’s registrar and since then, AU’s controller of examination (CEO), Prof H S Upadhyay has taken over the charge of the registrar. COE is presently looking after the work of admissions at AU as chairman admission committee too. Col Lav had challenged the order of the V-C at Allahabad High Court which had directed the EC to take a call on the issue. “The EC met on the campus on Sunday and all the members unanimously decided to end the services of the Col Hitesh Lav, who was on probation”, said AU PRO, Prof Harsh Kumar. The move has surprised many as there had not been any allegations or irregularities against the registrar who had joined AU in October last. Col Lav, who was the candidate in waiting after facing the selection committee, had joined AU as Kushilendra Mishra of Bhim Rao Ambedkar University, Lucknow had refused to join AU as the registrar. Col Lav was regular registrar of AU after a gap of around Seven years when Prof J N Mishra resigned from the post. Since then, this all important post was handled by teachers of AU who officiated as registrar. Prior to EC’s meeting, national secretary of Akhil Bhartiya Vidhyarathi Parishad and former president of AU student union, Rohit Mishra and other student leaders handed over a memorandum, addressed to President (he being the Visitor of AU) to the chief proctor. Rohit had claimed that Col Lav is being removed from AU through a conspiracy and this will give a wrong message as already people, who have been selected for various important posts including Finance Officer, Registrar etc have refused to join AU after being selected and called for the posts”.